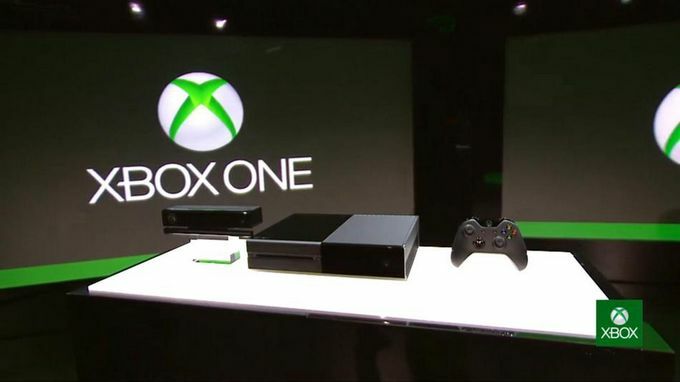 Microsoft has unveiled the new Xbox, and it's called Xbox One. It's Microsoft's first new console in more than seven years. Yes, we've had many expectations for this console, especially since Sony and Nintendo have already taken their first steps in the next-gen landscape. Here's what you need to know that was announced at Microsoft's event in Redmond, Wash. Under the hood, details so far include an eight-core processor and graphics made by AMD, 8GB of RAM, Blu-ray, USB 3.0, HDMI in/out, and a 500GB hard drive. Besides all of this, Microsoft is promising a new operating system fusing Xbox and Windows. Xbox One architecture has "three operating systems in one": Xbox, a kernel of Windows (perhaps like Windows RT), and a multitasking interface. The idea seems to be that this console will be a multitasker at heart. Check out a head-to-head comparison with the PlayStation 4 specs known so far, however, and you can see that the distance between Sony and Microsoft, in terms of hardware, will be shorter than ever. We're underway, and the intro video for the new Xbox has users saying that the new Xbox is going to "recognize my name, my voice, my movies" and know what you like. That's a big cue that this generation is going to focus heavily on entertainment. Don Mattrick, President of the Interactive Entertainment Business at Microsoft, says that Xbox 360 is leading the industry in entertainment, because gamers are quick to adopt new tech. The focus for the next gen is going to focus on different types of content, and use new tech, like cloud interfacing and streaming. It's the all-in-one home entertainment system. The console turns on just from you saying "Xbox on". It will launch into what you were doing last. This passive listening is a huge deal for natural interface. It seems incredibly responsive in the demo, but for now it's unclear if this is an actual demo or if it's being simulated. It also integrates right into your TV. "Xbox, watch TV" drops you right into a live television feed. The amazing part of this is that you can switch quickly from movies, TV, games, a browser or anything else, just by saying "Xbox, go to", or even just "Go to movies". A new Kinect comes with the Xbox One, complete with improved accuracy. It has a 1080p camera, Skype connectivity, and understanding of rotational movement in a structure like a skeleton. Microsoft even claims the new Kinect can read your heartbeat. It can also recognize your controller, not just your hands -- suggesting uses that sound a little like the ones for PlayStation Move's wand. Or! You can go to ESPN to watch sports ("Xbox, go to ESPN"), and get update cards in the top of your screen whenever one of your fantasy team scores or accumulates other stats (or just snap in the full panel). Microsoft also added its own TV guide, with full voice Kinect voice controls (which seem FAR more accurate than current Kinect voice controls in this demo). You can go to any channel or program by telling the Xbox to go to it, or you can just go to a Trending page with the most popular content. This is what we were hoping Microsoft would show us. We saw a new and massively updated Kinect. New game engines, with improved graphics (but still such cold, dead eyes). There are new entertainment, and even some original content. Some issues, like backwards compatibility and streaming games, we hope will be cleared up throughout the day of events. The Xbox One will be available "later this year," which almost certainly means in time for the holiday shopping season. For some frame of reference, the Xbox 360 was announced in May of 2005 and went on sale six months later. Extending Reading: Is Xbox One able to playback iTunes purchased videos? Being reported as a powerful Console with various new specs, Xbox One will also be regarded as a great home video center for enjoying HD movies. And as for many iTunes users who like purchasing latest movies from iTunes movie store, it will disappoint you since those iTunes movies or TV shows are not allowed to be tranfered to Microsoft Xbox One. DRM is the main reason why iTunes videos are not able to be played on other HD media players except the Apple TV. NoteBurner M4V Converter Plus (For Mac) & (For Windows) is just the best DRM removal tool and the most powerful iTunes M4V to Xbox One converter that can help you easily convert iTunes DRM movies and TV shows to common video formats like MP4, MOV, AVI, WMV, MPEG4 and etc. What's next? Download NoteBurner iTunes M4V to Xbox One Converter now!